Traditions and customs do define our cultural diversification as a country and miscellany that India offers is rare as equating with others. 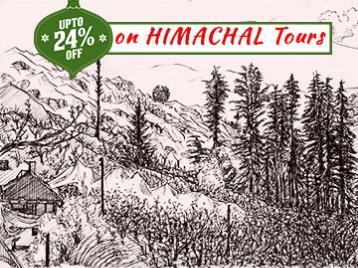 This is a 6 days journey by Himalayan Mysteries; each destination has its own zenith and charm. This itinerary is well sketched out and it takes you to the most admired cities, national capital Delhi, Mughal City Agra and Pink City Jaipur. Both new and old astonished compositions for Delhi, Jaipur for Rajputana glory, along with dynamic ambiance and Agra city narrates the tales of Mughal grandeur. All of them are a fusion of enriched culture and heritage. 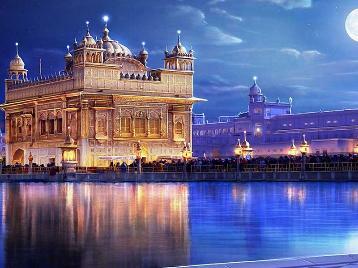 Upon arrival in Delhi, Himalayan Mysteries representative will drive you to Hotel. You have the day to relax and explore the beautiful capital city on your own. Enjoy a comfortable overnight stay at the hotel. Eventful day starts with an appetizing breakfast, later the day is scheduled to visit popular attractions such as Qutub Minar, Lotus Temple, India Gate- a war memorial on Rajpath, Rashtrapati Bhawan, Parliament House, Raj Ghat, Shanti van and Chandni Chowk. Be back by evening and stay overnight at hotel. 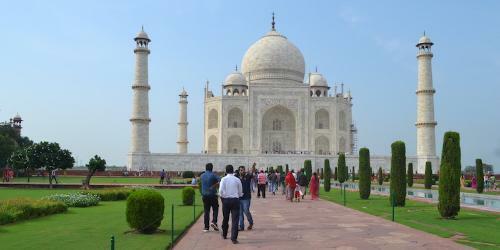 In the morning, start your road journey to Agra, a city of Mughal splendor. On the way visit Sikandra - the mausoleum of great mughal emperor Akbar. City tour of Agra begins by visiting world wonder and heritage Taj Mahal - white marble sepulchre built by Emperor Shah Jahan in the loving memory of his wife Mumtaz Mahal, following- Agra Fort, Pearl Mosque, Diwan-e-Khas, Diwan-e-am, and Moti Masjid. 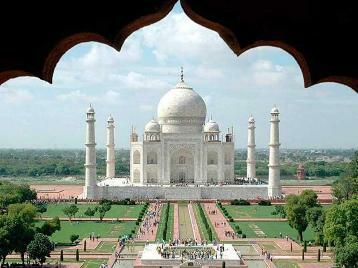 Overnight stay is arranged at hotel in Agra. After breakfast check out from the hotel and proceed to Jaipur. On the way visit Fatehpur Sikri, palace of Jodha Bai, and Panch Mahal. After reaching at the hotel in Jaipur complete the check in formalities and explore the city on your own. Place is a mixture of bustling markets, magnificent structural gems, mouth watering food options and much more. Also visit Chokhi Dhani, a Rajasthani theme based resort. Overnight stay is at hotel. Post breakfast, indulge yourself in the vibrant city tour, starting from Amber Fort built by Maharaja Man Singh I, splendid City Palace, world heritage site Jantar Mantar, Spectacular formation Hawa Mahal, Jal Mahal- a palace in the middle of lake. In the evening, head to the local markets and enjoy the dazzling place. Head back to hotel by evening and stay overnight. And the sensational trip ends here, after completing the check out formalities from hotel our representative will assist you at Airport or Railway station for your onward destination. These rates are subject to change without any prior notice.